In addition to being America’s premier air-superiority fighter, the F-22 evolved from its original concept to become a lethal, survivable and flexible multimission fighter. By taking advantage of emerging technologies, the F-22 has emerged as a superior platform for many diverse missions including intelligence gathering, surveillance, reconnaissance and electronic attack. F-22 Raptors assigned to the Hawaii Air National Guard, along with an active-duty associate unit at Hickam AFB, Hawaii. Training for Raptor pilots and maintainers takes place at Tyndall AFB, Florida, flight-testing is conducted at Edwards AFB, California, and operational testing and tactics development is performed at Nellis AFB, Nevada. The final F-22 Raptor was delivered to the U.S. Air Force on May 2, 2012, completing the world’s only operational 5th Generation fleet. 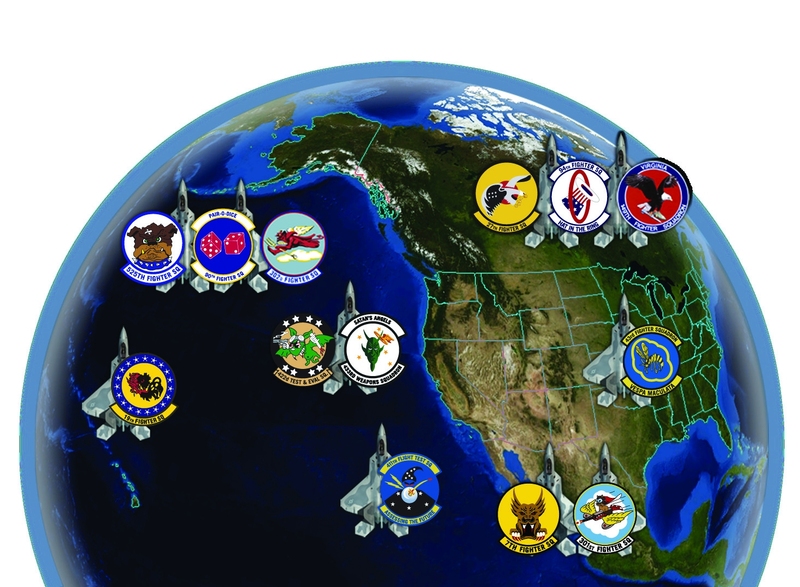 The F-22 is leading U.S. Air Force transformation efforts. Its ability to penetrate anti-access airspace, while finding, tracking and targeting enemy air and ground-based threats will ensure freedom to maneuver and freedom from attack for all joint forces. The Raptor’s unique combination of advanced stealth, supercruise, advanced maneuverability and integrated avionics will allow it to «kick down the door», and then follow up with 24-hour stealth operations and freedom of movement for all follow-on forces – fully leveraging the Raptor’s technological advantages. 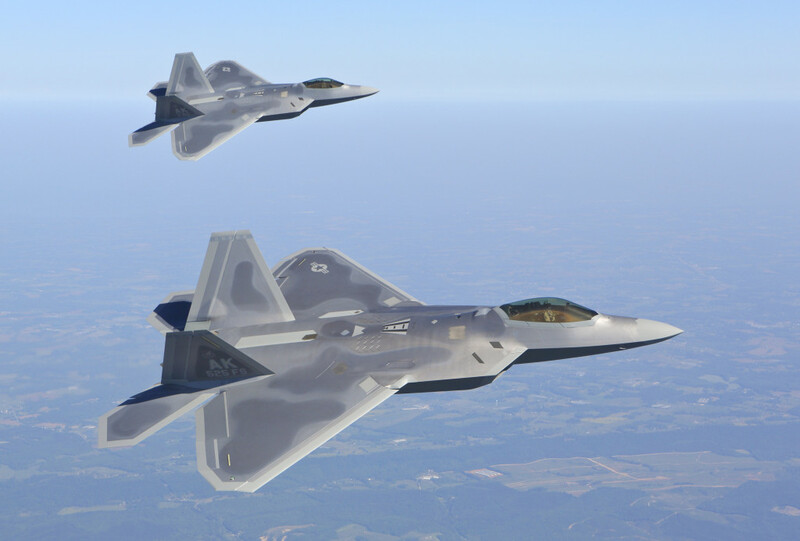 Two Pratt & Whitney F119-PW-100 engines, the world’s most advanced combat aircraft engines, power the F-22. 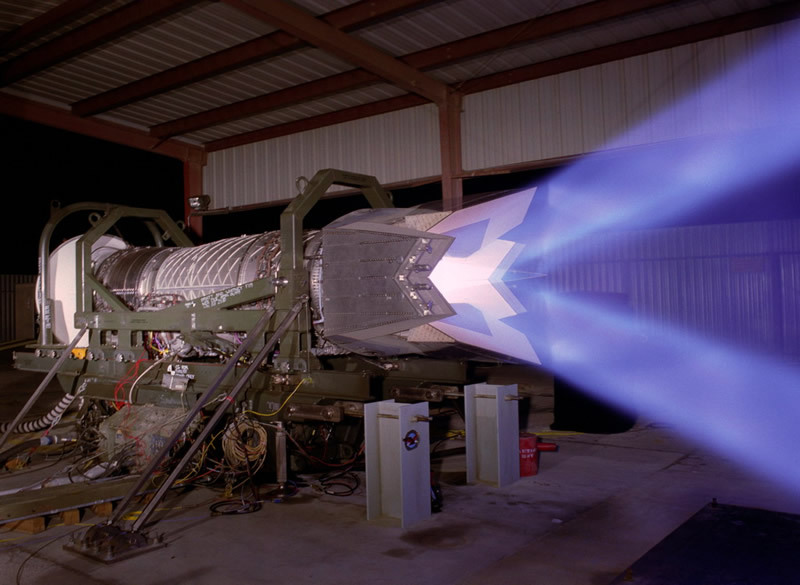 These engines, with their unique thrust-vectoring nozzle and integrated stealth characteristics, give the F-22 the capability to supercruise, or achieve Mach 1.5+ speeds, without the use of afterburners. 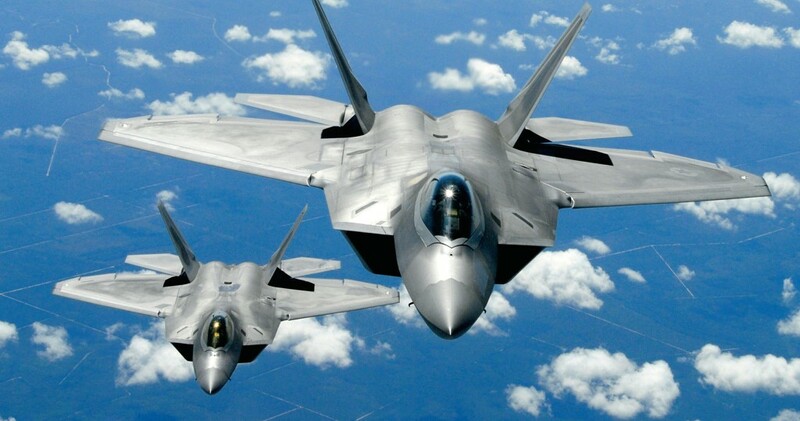 The F-22’s all-aspect stealth and high speed/high altitude capability gives U.S. forces and allies an advantage that will endure well into the future. By incorporating revolutionary advances in technology, the F-22 is ready to dominate any and all adversaries from the outset of any conflict. This capability provides a critical edge to joint force commanders and acts as an effective deterrent to future adversaries. 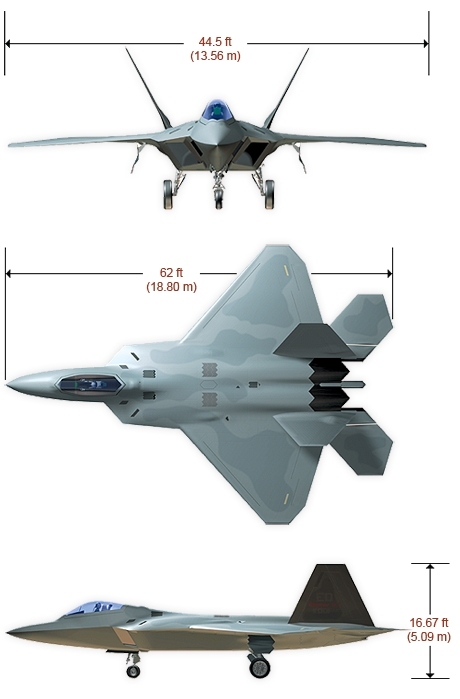 The F-22 is an entirely new way of thinking about fighter capabilities. 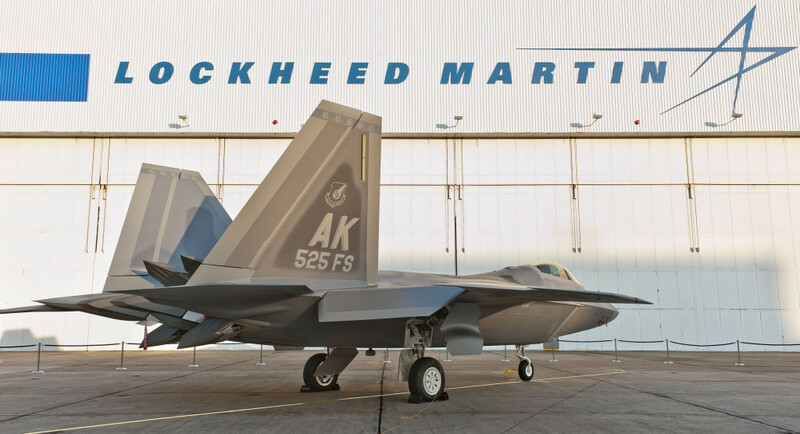 This 5th generation fighter represents a leap in warfighting capabilities for the U.S. Air Force and coalition forces. Very Low Observable Stealth – VLO enables the Raptor to operate 24/7 over hostile areas while remaining virtually undetected by enemy air or ground forces. Supercruise – The Raptor’s lethality and survivability are sharply enhanced by its ability to operate for extended periods at speeds greater than Mach 1.5 without afterburners. Extreme Fighter Agility – The F-22 brings an additional asymmetric advantage due to its superior aerodynamic performance and ability to outmaneuver opposing forces through acceleration and razor-sharp turns. Information Fusion – With 360-degree battlespace awareness, F-22 pilots can autonomously gather and fuze intelligence, conduct surveillance to identify and sort threats and then easily carry out the attack. Joint Force Enabler – The F-22 provides transformational capabilities that are essential to countering air-to-air threats and defeating integrated air defenses today and for the next 30 years. This, in turn, ensures safe and effective joint and coalition forces operations – starting on Day One of a conflict. 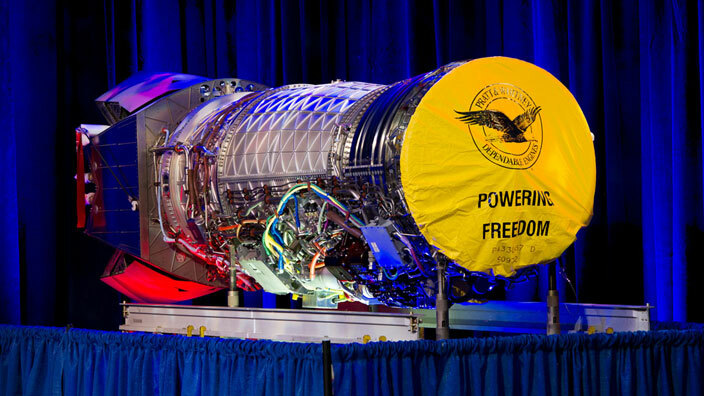 Pratt & Whitney’s F119 turbofan engine is the world’s first fifth-generation fighter engine. The F119 combines stealth technologies and vectored thrust performance to provide unprecedented maneuverability and survivability with a high thrust-to-weight ratio. The ability to operate supersonically without afterburner – supercruise – gives the F-22 exceptional combat performance without compromising mission range. The F119 is equipped with a number of advanced technologies for unmatched operational performance and reliability. Its three-stage integrally bladed fan is powered by a single-stage low-pressure turbine. The robust, yet compact, high-pressure compressor features the most advanced airfoil aerodynamics and integrally bladed rotor disks for ensured durability. The engine’s counterrotating core has an aerodynamically efficient six-stage compressor driven by a single-stage high-pressure turbine featuring the latest single-crystal superalloy blades and advanced cooling technologies. The engine delivers unparalleled aircraft maneuverability with its unique two-dimensional pitch-vectoring exhaust nozzle. The F119 engine has achieved a best-in-class safety record since its introduction by outperforming legacy engine benchmarks. Ease of assembly, maintenance and repair were designed into the F119 from its inception using a balanced team approach that included assemblers and flight-line mechanics. Requirements for support equipment and labor were reduced by 50 percent, minimizing the overall F119 logistics footprint.